The Bozeman-based radio show, “Live From the Divide,” is generating a national buzz with the release of a video by YETI. The seven-minute video, “The Divide,” directed by Chris Murphy with Bozeman’s Helio + Company, has generated 247,000 views on YouTube since it was released last month. Radio Jason Wickens is a singer, composer and producer who drafted by the YETI, production of outdoor equipment, it is included in the video series, because he is keen on bringing the story behind the song to the national radio audience. His united weekly radio show recorded in bozeman and functional national tour America songwriter performance for the audience. It all started in tiny Winifred, a town 40 miles north of Lewistown, where Wickens grew up. He was writing songs by the time he was 12, and he yearned to record music. “I have always had a passion, a real interest, in other people writing songs,” Wickens said in a recent phone interview. Wickens at the age of 34, attend in tempe, Arizona recording arts and science college of music, and in Nashville and whole travel in the west of the musician, open studio back to Montana, the pursuit of his dream. But first, he had to raise the money. Wickens work in the oil business, after three years to earn enough money to build his Bozeman studio. His father brought the tool as he set up a small studio, but high-tech can make tourism musicians and growing national broadcast audience. 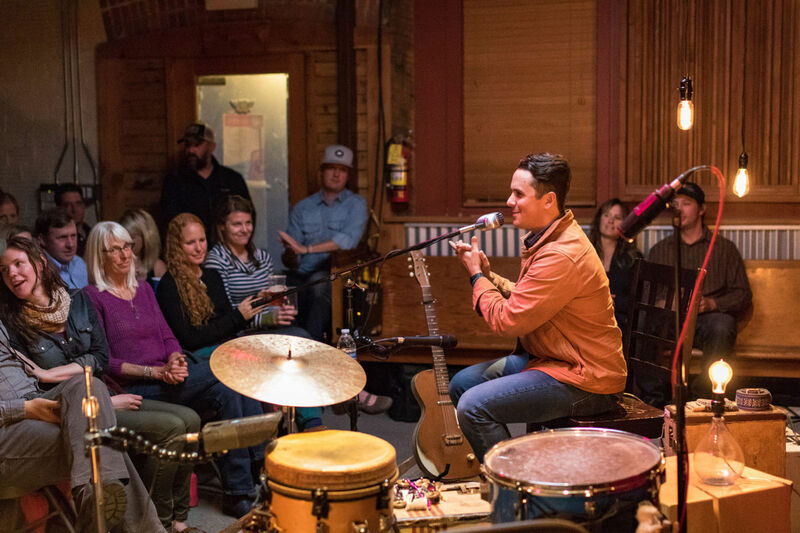 Then Wickens set out to find touring musicians to bring to Bozeman for his studio concerts in a space designed for 50 people. “It’s a way to honor these individuals who spend a lifetime honing their craft,” Wickens said. He works with Grammy Award-winning producer Doc Wiley on the project. His first guest was Mike Beck, a cowboy troubadour, who just sat down and started telling stories. “Mike had been living out of his van, traveling the country at the time. If he’s not making music, he’s breaking horses,” Wickens said. “Live From the Divide” has attracted almost a million listeners. The show can be heard on KGLT Radio in Bozeman at 6 p.m. on Mondays, and is played twice a week at The Trail Radio in Missoula. Wickens just wrapped his final live performance in 2016, but the show weeks according to continue. In the next few months, he plans to launch another project, to record his original music album. For this album, Wickens recruited Oklahoma producer Wes Sharon’s help, he made like a Turnpike Troubadours such a band. Wickens plans to start a Kickstarter campaign to raise the money of this album. “It’s a Montana version of the Oklahoma sound,” Wickens said.